While improv is usually associated with jokes, the potential for your company or group to benefit from its techniques is no laughing matter. Using the basics of improvisation, Siblings Improv can host an interactive seminar that will help your team communicate, problem-solve, and work together. These sessions are fast-paced, fun, and are guaranteed to get participants engaged. We have worked with teams of five to five-hundred in various industries. We currently offer tracks in Leadership, Embracing Change, Customer Service, and Collaboration. Contact us at siblingsimprov@gmail.com to find out if Siblings Improv is right for your training session. Do you have an upcoming event, company party or fundraiser? Siblings Improv would love to come and perform for you. Complete the field below and we’ll get this party started. In the fall of 2013, a group of friends got together in the back of a pizza restaurant in downtown Joplin and started making things up. All of a sudden, these informal sessions became practices. It wasn’t long until a show was on the calendar. Close to fifty people showed up. Most had never seen an improv show before. Sources claim that they had a good time. 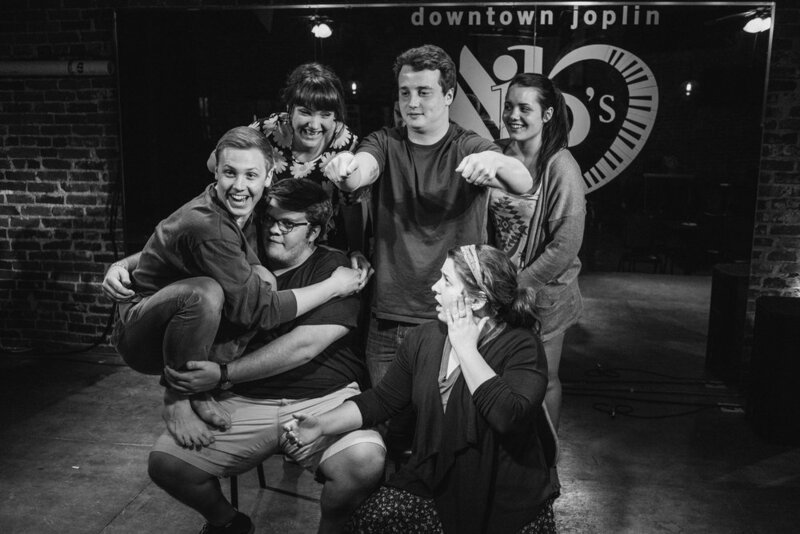 After a few more shows, the pizza shop was full and an improv scene had been born. Years later, Siblings Improv now performs regularly across the Four State area, conducts Improv 101 courses, and has developed a professional development curriculum. You can see how the story continues to unfold by following the crew on Twitter/Instagram at @SiblingsImprov.